For the earlier parts of the Housing America series, please click here for part 1; here for part 2; here for part 3; and here for part 4. Housing cooperatives essentially represent the "third way" between renting and owning a property. This model once formed part of the bedrock of affordable shelter provisions in New York, but more recently has been rapidly disappearing. Often famed more for the celebrity interest they attract than their role in combating the housing crisis, some are now turning to housing cooperatives as part of the solution to the housing affordability crisis hitting many U.S. cities. However, while cities like New York have a rich history of cooperatives, they are often both misunderstood and overlooked. What makes a co-op a co-op? 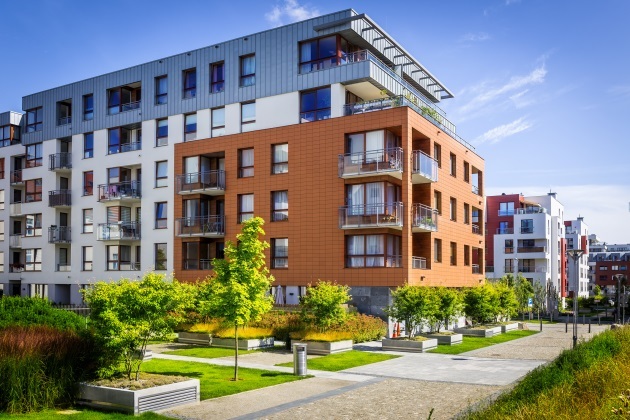 First, there is often a misunderstanding between cooperatives and the most common form of multifamily home ownership in the U.S. — the condominium. Crucially, while the co-op’s emphasis is on common rights in property, the "condo" emphasizes private rights. In essence, co-ops are a model where tenants, rather than own equity in their own unit, own a share of the co-op and are frequently restricted by strict resale restrictions that prevent members pocketing speculative profits from rises in value. However, unlike outright public housing, they allow residents greater control over their built and social environment. Co-ops come in different forms. The two dominant forms in the U.S. are "limited equity" and "market rate." Limited equity co-ops impose restrictions on resale in order to lock in affordability. Market-rate co-ops, as the name suggests, allow the share price to rise on the open market and can be resold at whatever rate the market demands. The turbulent history of housing co-ops in the U.S. The U.S. has fallen so far behind other countries on cooperatives that it is easy to forget that the country has a rich history of cooperatives, nowhere more so than New York. The story began in 1881 with the "Rembrandt" (now part of the Carnegie Hall). While cooperatives today are seen largely as an option for those locked out of the housing market due to affordability, the Rembrandt came into being as an option for the middle classes who were disillusioned with the rental market. From the outset, co-ops also became associated with free-wheeling creative communities — perhaps an association that lingers today. These groups were expected to be less tied down to convention when it came to models of living. The Rembrandt was packed with dandy landscape painters like Robert Swain Gifford, just as the 1960s famously saw John Lennon and Yoko Ono occupy several units in the city’s Dakota co-op, bringing platters of sushi to building potlucks. The largest affordable housing complex in the country — New York’s Co-op City — was built as a co-operative in 1958 and still stands today with a remarkable legacy behind it. However, since the 1970s few new co-ops have been built, leading to decadelong waiting lists to live in the units. Moreover, the decline of co-ops in New York has sharpened more recently as the terms of existing co-ops have started coming to an end, provoking a wave of privatizations. This story of decline is summed up by the experience of residents of the "Mitchell-Lama" co-ops in New York (Co-op City was one of its flagship projects). Named after the two politicians who sponsored the bill that created the program, this was an affordable housing scheme that covered affordable rental properties as well as co-ops. As part of the program, loans and tax abatements were offered in return for keeping the units affordable for a set period of time — often 20 to 35 years. But today, as those periods are coming to an end, it is simply proving too tempting for co-op members to buy out, given the chance to lift the self-imposed resale restrictions and sell out at market rates. All of this in parts of the city where housing values have rocketed beyond anyone’s projections since the original contracts were signed. The privatizations that have ensued are dramatically reducing the once sizable stock of co-ops in the city. Housing co-operatives outside the U.S. While the U.S. has been largely abandoning its early 20th century experiments in co-operative housing, other countries — particularly in continental Europe — have forged ahead. In U.S. society, co-ops have become seen as an affront against market society, and allied with socialist ideology (interestingly, the Rembrandt warned against any "socialistic union" within its walls). However Switzerland — home to the Davos summit, a healthy slice of the banking community, and a hardly a socialist paradise — has maintained robust support for co-operative living. Today, despite downward trends nationally across the country since 1970, 26% of the population in the financial capital of Zurich live in co-operative housing. The much-lauded Kalkbreite Co-op was built over a tram depot in the city, features a communal roof garden, and required prospective tenants to become members before standing a chance of securing a space. Similarly, in Austria today, every sixth inhabitant lives in an apartment built and/or managed by a limited-profit housing association. Like Switzerland, co-ops are not confined to low income groups but serve a broad spectrum of the population. Outside the West, the Uruguayan capital of Montevideo guarantees the right to housing and is home to a notoriously active housing co-operative movement. The city land banks in order to recycle unused land for the use of co-operatives and assists with finance. Can the U.S. bring co-ops back? The tightening loop of affordability crises has swung attention back to co-ops in the U.S. and elsewhere, and debate is beginning on what their role might be in calming down the white heat of a housing market that is excluding so many. Access to finance has been one obstacle for co-ops today — few lenders are willing to take a risk and lend to them, particularly following the 2008 financial crash. But perhaps a greater obstacle to overcome that is of societal perception. Homes today in the U.S. have come to serve a dual function — as shelter, but also as an asset for wealth accumulation. By rejecting this commodified model and stripping housing of this speculative role, the co-operative model tips the balance back toward the former, cementing the primary role of housing as shelter. Some new developments in the U.S. have experimented with cooperative ownership. The award-winning Via Verde development in the South Bronx has been praised for the high bar it sets for sustainable design of affordable housing with its cascading roof gardens. The building offers 71 subsidized co-op units, designed to be affordable to households earning 70 to 175% of Area Median Income (AMI). This is a welcome effort, but hardly a high bar, and little replacement for the thousands of disappearing co-ops across the city. While some struggle on, current policy in U.S. cities does not provide fertile grounds for co-op — the developers of Via Verde note the difficulties in financing their co-op units, given that state funding programs were being discontinued. Since the mid-20th century, the conflation of private home ownership and the "American Dream" have blinded Americans to diverse forms of home ownership models (and indeed non-ownership models). However, the experience of other countries shows that there are many other forms of securing your right to shelter. Co-operatives offer one way to experiment with these forms. However, it has been suggested that the success of housing coops in Switzerland rests on a "strong tradition of local community self-help and volunteer work, 100 years of housing policy, and strong and collaborative housing organisations." That leaves the U.S. with some catching up to do.